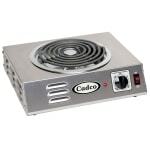 The Cadco CSR-3T electric hotplate can be used to make sauces, boil water for pasta, or sauté vegetables. 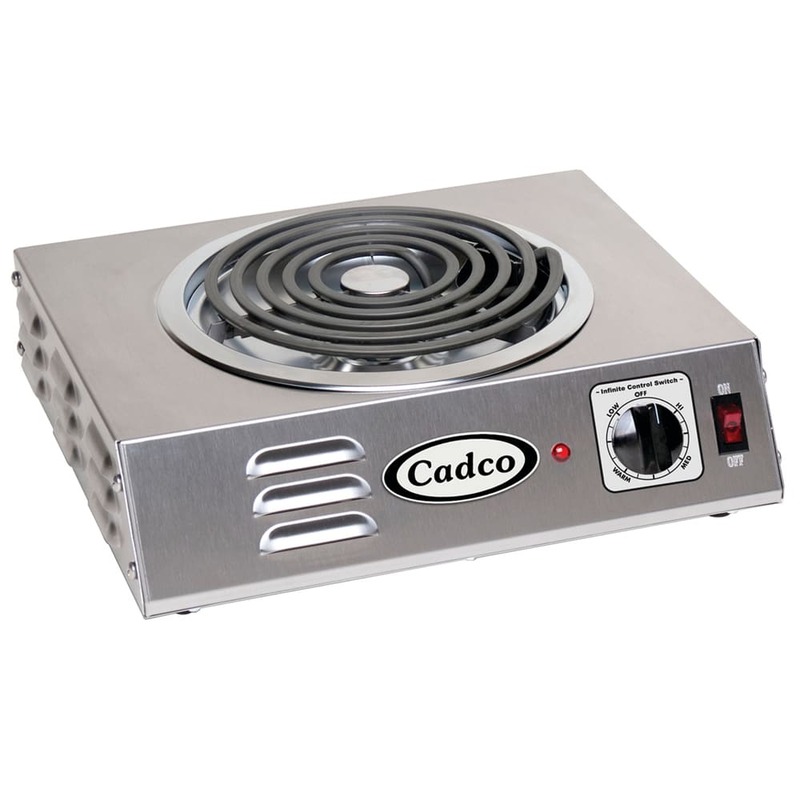 Its tubular heating element is 8 inches diameter to accommodate a variety of pan and pot sizes, and an indicator light turns on when the burner is on. 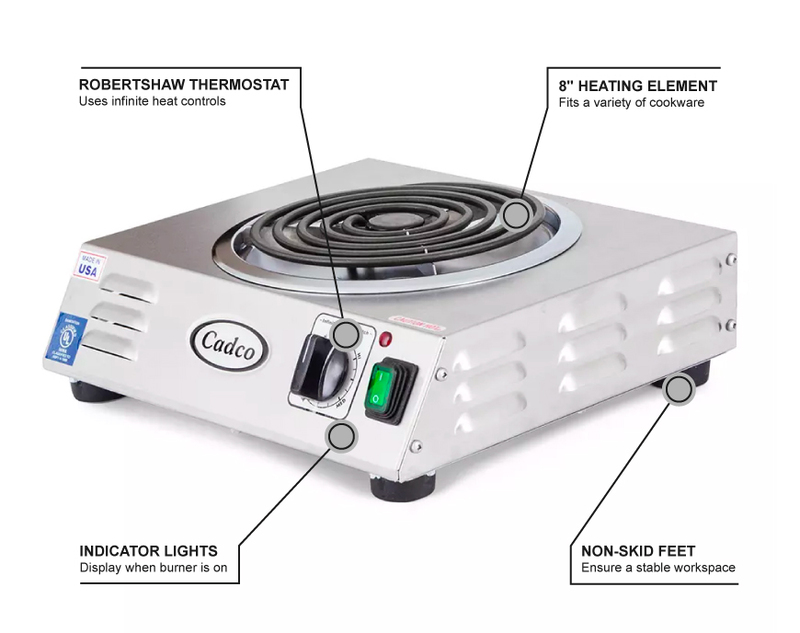 An on/off switch operates the Cadco CSR-3T electric hotplate, which has a Robertshaw thermostat controlled by infinite heat controls. Want more information on countertop cooking equipment? Check out the countertop cooking equipment buyers' guide. "Hot plate for a reflux still." "Product is great. Delivery was slow." "Received this today. Opened up the box and plugged it in on high for it's initial burn off for first time use. It heated up fast and then I teste..."
"Received this today. Opened up the box and plugged it in on high for it's initial burn off for first time use. It heated up fast and then I tested it with the control for lower temperatures and played with the settings, everything worked as it should. I'm very happy with this product"
"It's a great little unit!"